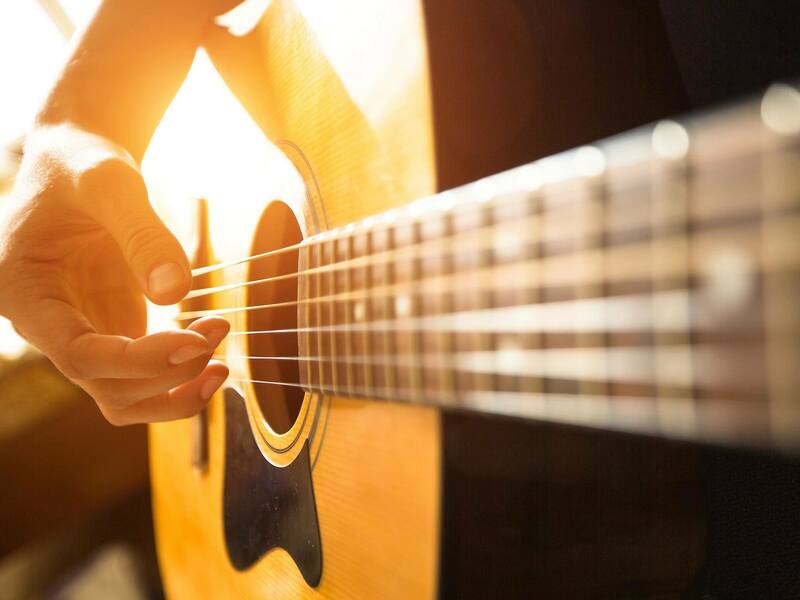 →What Makes a Good Acoustic Guitar? Buying your first guitar is a very exciting experience, but it can also easily go very wrong, if you don’t know what you’re doing and have no one to nudge you in the right direction. You need to be aware that not all acoustic guitars are the same, and that choosing the right one for your frame, playing style and even music genre can make all the difference between you becoming an accomplished player or having a guitar just for decoration. The best way to find a good acoustic guitar is to shop in person, and to go to as many stores as you need to. You should be able to hold the guitar, see how it fits against your body, how well you can hold it and how comfortable you are, because play-ability is the most important factor in finding the right guitar for you, especially if you are still learning and finding out what works and what doesn’t. It’s also understandable that you might not want to invest in a high-end guitar if you just want to play for fun, or if you don’t know whether you’re serious about playing, but you should be aware that, while there are guitars available at almost any price point, a very cheap one might not be easier to play, sound as good or hold up as well. The best idea is then to save up a little more and get a decent guitar, which should knock you back $300, or go even further up in price, if you’ve had experience with the instrument before and care about sound quality and durability. Aside from that, you should also try to figure out what kind of music you’ll be playing before you get your guitar, because there are different designs and even string materials that lend themselves better to a style than the other. A good acoustic guitar, like a classic guitar, will allow you to play just about anything with a balanced sound, which is why it is quite popular with beginners, as well as those who use fingerpicking heavily, while a dreadnought will give a bigger sound, which makes it better for performances and for playing rock music. In between the two is the jumbo, which has a big sound, but looks like a classic guitar, making it the best of both worlds. After you’ve decided which style fits you and your body, it is time to worry about the materials. A good acoustic guitar doesn’t need to be one which is made of solid, exotic woods, but it does need to be made of durable ones. Also, the wood used can affect the sound the guitar gives, but if you’re a beginner, you’ll only likely know the sound you want when you hear it. As for the top, you should know that both laminate and solid wood can produce good acoustic guitars, but solid provides a richer sound, which is mostly why it’s considered to be better. Finally, you should pay attention to the strings on your guitar. Nylon strings are said to be easier to play, which is why they’re recommended for beginners, but their sound only lends itself to certain genres. Also, not every guitar can be set up with nylon or steel strings interchangeably, so if you want a harder, louder sound, you should pick a guitar with steel strings and make an effort to work with it from the beginning. Other aspects to keep in mind when buying a guitar are the intonation – have someone you trust check the tuning if you can -, because a good acoustic guitar should be able to hold a tune, and its condition, particularly if there any cracks or imperfections, or even if it’s been repaired before, when you’re buying a second hand instrument, in particular.